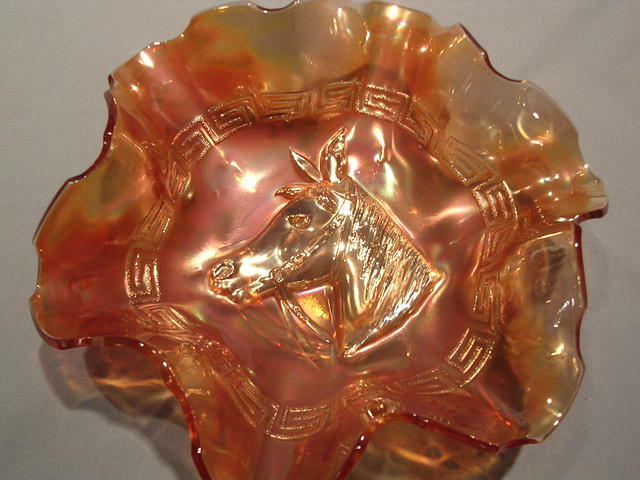 Vintage Dugan "Pony" Marigold Carnival Glass Bowl. 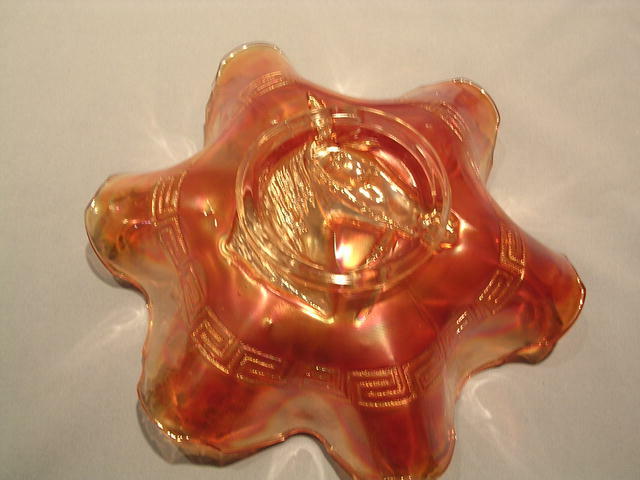 The Pony center is accented with grecian key design around the inside of the bowl. The design of the bowl is unique to Dugan. The bowl measures 3 inches high and 8 1/2 inches across and is in excellent condition with nice color and shine there no chips, cracks, scratches or repairs. 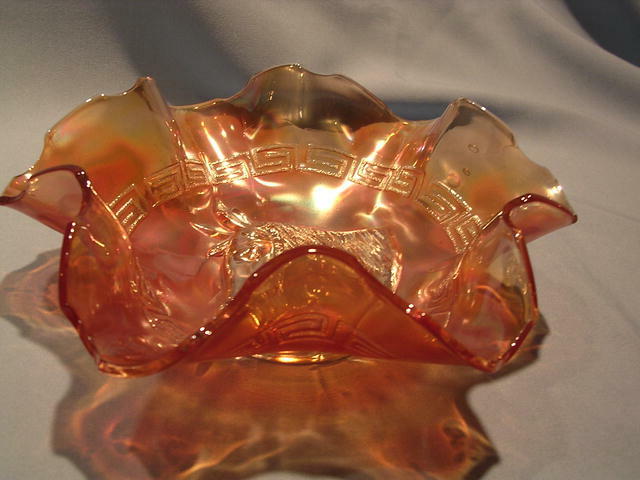 Items Similar To "DUGAN "PONY" CARNIVAL GLASS BOWL MARIGOLD"